Are you coming to our 80th Birthday celebration event? We value the relationships with all our alumni and supporters, and hope to build links with our global community of former Edinburgh Steiner School pupils. Your involvement in the School can help rekindle friendships at reunions, and provide opportunities for current pupils through our careers and development programmes. What did you take into life from your Steiner education? I understand and consent to the collection and use of my data for the purposes of Alumni activities. You can find full details of how we collect, manage and use the personal details of alumni and supporters in the Alumni and Supporter Data Protection Statement. 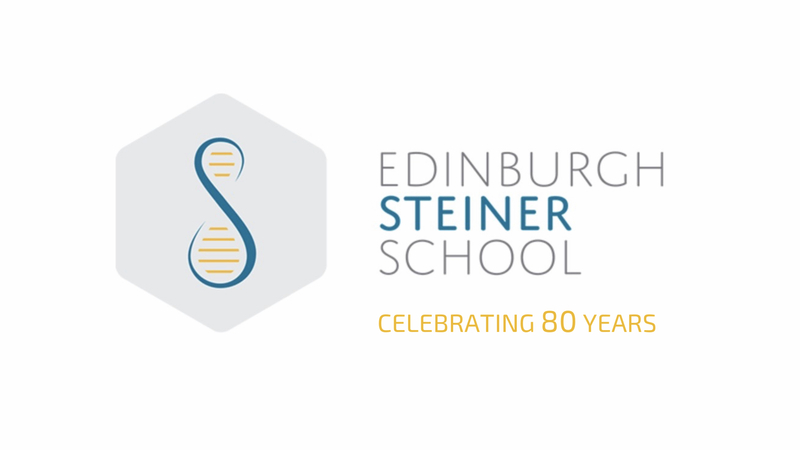 2019 marks the 80th birthday of Edinburgh Steiner School as well as the 100th year anniversary of Waldorf Steiner education. We are welcoming our alumni to join us for these upcoming celebrations. The events take place from the 2nd – 4th May 2019. We need your help to reconnect with your fellow Alumni. Please spread the word to anyone you know who is a part of our rich history as a school. 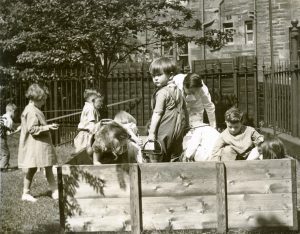 Edinburgh Steiner School founder, Dr Pelham Moffat, with pupils. 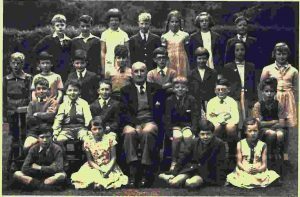 First eight pupils to enter the school when it opened in May 1939.